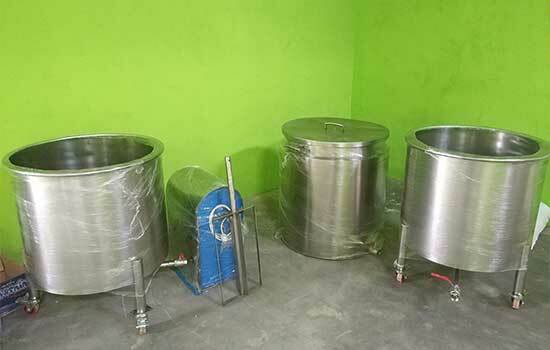 We custom make stainless steel equipment for tempeh production. Boiling pots which can boil up to 300 liters. Wall mounted or free standing washing machines to clean the acidified beans after the first ferment. Soaking vessels to be rolled under the washing machine. Mobile racking system, roll on/roll out fermentation room. Dry dehullers for soybean, 50 kg per hour or 200 kg plus per hour.